Caboolture Concretors Warehouse (CCW) has been specialising in the supply of steel reinforcement and resurfacing materials for the construction industry since 1985. Owned and operated by Gary and Dianne Bishop, CCW are an enthusiastic team that are driven to provide friendly, efficient service backed by the experience and knowledge required to assist in all enquiries. CCW prides itself on supplying quality products to ensure that the final result will not be compromised. We have an extensive client base who trade with us that cover all aspects of concreting, and are highly recommended and renowned for their workmanship. We offer a full delivery service that caters to South-East Queensland on a daily basis. We have our own delivery trucks and trailers that service north Brisbane, with other locations serviced by our steel suppliers. We also provide a full scheduling and estimating service for all scopes of steel reinforcement. It is preferred that plans are submitted in PDF format via email. We welcome all quotes, which are obligation-free and prepared in a timely manner. 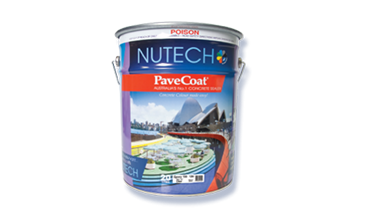 Nutech Pavecoat concrete sealer utilises advanced technology and is recommended for a wide variety of decorative and protective concrete finishes. Pavecoat is manufactured from acrylic polymer resin and is stabilised for all types of concrete providing a durable surface ideal for pedestrian and light vehicle traffic. Nutech Pavecoat is available in 36 colours as part of their standard range, or may be custom-tinted to any colour you require. 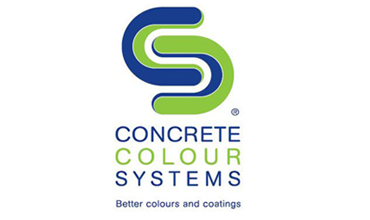 Concrete Colour Systems (CCS) is a leading Australian brand of innovative concrete colouring systems that can be applied to transform new and existing concrete into an attractive and colourful finish. The Stylepave Resurfacing range is available in 30 colours and can be applied using various techniques to create a desired finish. Due to its durability, the CCS Stylepave is an ideal application for both commercial and residential areas. Copyright © 2017 CABOOLTURE CONCRETORS WAREHOUSE All rights reserved.